Our recent experience with Premier Kitchen and Bath was amazing!! The designers, Robby Griffin and Lisa Forrest Design were responsive to questions and modification requests during the design phase. Once work began, Joe Lopez and his team competed all work within stated time-frame. Joe’s crew was courteous and arrived as scheduled each day. The team worked at a steady pace and were able to accommodate our request to have a toilet available during the renovation. Amazingly, we were only without it for one day out of the 3 ½ weeks of work. Joe, or his team, keep us updated on daily arrival times and progress. At one point, there was a water pipe hit, the water was promptly turned off and the pipe was repaired that same day! Joe ensured we were satisfied with the work and listed to feedback. We appreciated all that Joe Lopez coordinated to provide us the bathroom that we designed in a timely manner. I was apprehensive about working with contractors since I frequently hear about constant delays and days wasted. That was not the case with Joe’s team!! They did a fabulous job! They were reliable, did great work, and cleaned up each day. 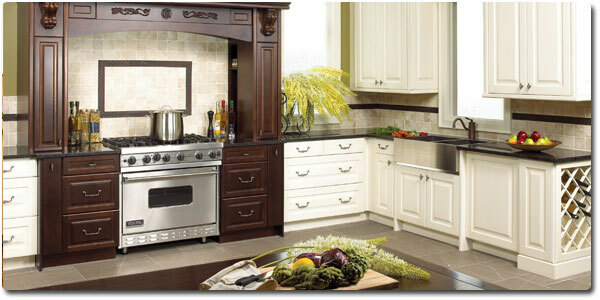 We would like to thank you for the excellent design and workmanship on our kitchen. We are very pleased with the final result. Thank you for working with us so well throughout the process. You were easy to get a hold of and very responsive. You gave us many great options and solutions. We would not hesitate to recommend you to others and use your service on another project in the future. I just want to thank all of you! You guys have built me five tubs and five bathroom countertops and every tub, counter is not only beautiful, my kids LOVE their tubs…and I have one son that is 6’5″, another 6’2″. Everyone from Baker that has come to both of my houses is kind, courteous…and I’m not scared to leave them if I need to. few more changes at this house. Also, I love having so many choices….you guys definitely cater to the customer! I will definitely have you guys back! Thank you so much! We invited our friends to show my home after remodeling yesterday. This is a summary what my friend said. Beautiful and perfect design to put together many granite pieces for mantle and base as well as walls. Whole fire place looks like one piece of granite. Everyone touched the walls to feel the beautiful granite. Your staff made a piece of art from my old brick fire place. The color and pattern of marble makes beautiful and warm bath tub. The marble surface is so smooth like silk. You needed 6 pieces of marble to cover the large surrounding walls, but we can not see any seam. The bath tub walls looks like one piece of marble. They loved your cabinet selection. It looks like furniture finish – shine and durable. They also like the design of drawers – big and deep so that we can keep lots of stuff in drawers. The drawers are easy to open and it close slowly. Thanks again for your beautiful works. We have been very happy with Craig Baker Marble. They gave us a prompt quote and finished the job right on schedule. The workmanship was excellent and far superior to other contractors that we have used in the past. They paid attention to details and catered to our needs. We will highly recommend them. After being unsatisfied with other companies, I happily began working with CBMCI 30 years ago and continue today. Even after returning to the residential construction business after a 12-year hiatus, I once again selected Craig Baker for several reasons. The integrity and professional attitude of Craig and his employees is unsurpassed. Issues hardly ever arise, but if one does I have absolute confidence it will be handled in a timely and thorough manner. Their prices are competitive, they’re competent and knowledgeable, they keep up with current trends and they are fun! We would not consider using any other company for our marble and hard surface needs. Craig Baker Marble Co., Inc. I am taking a few moments to thank you for my recent experience with all of the associates of Baker that have been a part of my two bathroom renovations. In our hurried lives, we usually take time only to complain. I wanted you to hear from an extremely satisfied customer. I want to compliment everyone I met associated with Craig Baker Marble Co. Brenda Baker was extremely helpful while educating me on your products and service. She proves very resourceful by referring me to David Shamp and Bart Brown for the required preparations for the complete overhaul. Miguel and Benito Vasquez did a fantastic job installing the new cultured marble. Then Brenda, David and Bart proved to be very patient with my continuing follow-up questions and the final detail requests. I tell you honestly that Brenda, David, Bart, Miguel, and Benito contributed to a great team that made our experience a pleasant one. I have heard others complain about their nightmare experiences with bathroom renovations. To you all, a job well done and my sincere thanks. We want to thank you for recommending David Beauchamp to tear out our bathroom and reconstruct it so that your marble men could install new marble. Mr. Beauchamp did an excellent job. He was always on time, worked efficiently, and took pride in his work. A consumer could not ask for more. Your marble men also did a wonderful job in creating our bath exactly as we had in mind. We couldn’t be more pleased with the results, and we want to complement all for a job well done. Thank you so much for your help. As recent customers we would like to commend your firm and its employees for the courteous and efficient manner in which we were treated and the outstanding production and installation job that was accomplished. Mr. Jack Pearson is an excellent example of the quality of employee that I know you have throughout the company. We are very pleased with the finished job. The windowsills are beautiful. Thanks. We really appreciate your cooperation and your prompt assistance. Your product is something we can be proud of. You may add our name to your growing list of very satisfied customers! Your crew installed granite counter tops for us this summer and did a fantastic job. We’ve had so many compliments. The men were very polite and knowledgeable and even did a great job cleaning up after they finished. We would recommend your company to anyone. I meant to write to you weeks ago, but got behind on my correspondence. I just want to tell you what a beautiful job your guys did on our granite vanities. They look fabulous! They really did a good job – very careful measuring, cutting, laying drop cloths, cleaning up, hauling everything away. We are very pleased. We will be deciding on the shower shortly, so I will be in touch. We have been doing business with CBMCI for approximately 13 years . They have supplied and installed cultured marble tops on several apartment projects consisting of 3000 to 3500 units from Texas to Minnesota . They have always been responsive to our requests and do what they say they are going to do. We are currently working with them on 246 unit luxury apartment complex in Dallas. They are fabricating and installing natural stone products for this project and I visited there shop and the tops look great. CBMCI is a first class operation. I would recommend anyone that is looking for quality hard surfaces at a fair price to check them out.